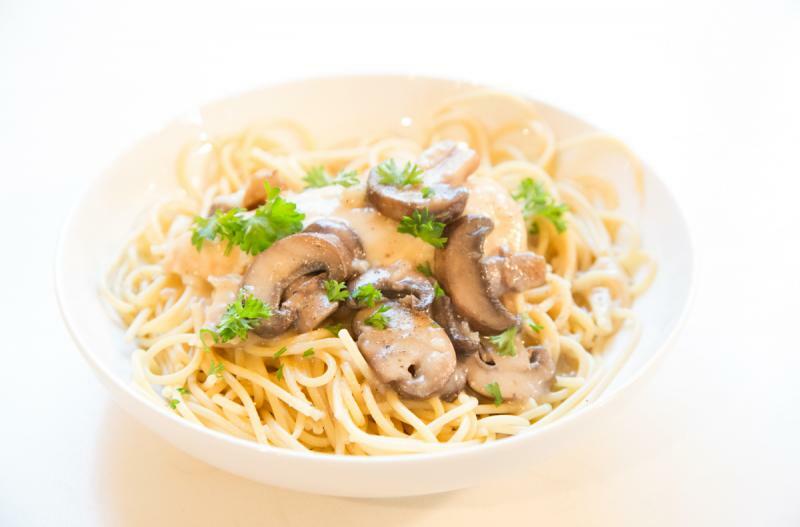 This chicken marsala sauce is ridiculously delicious and the best part is that it is made with simple ingredients, and does really well from freezer to table. 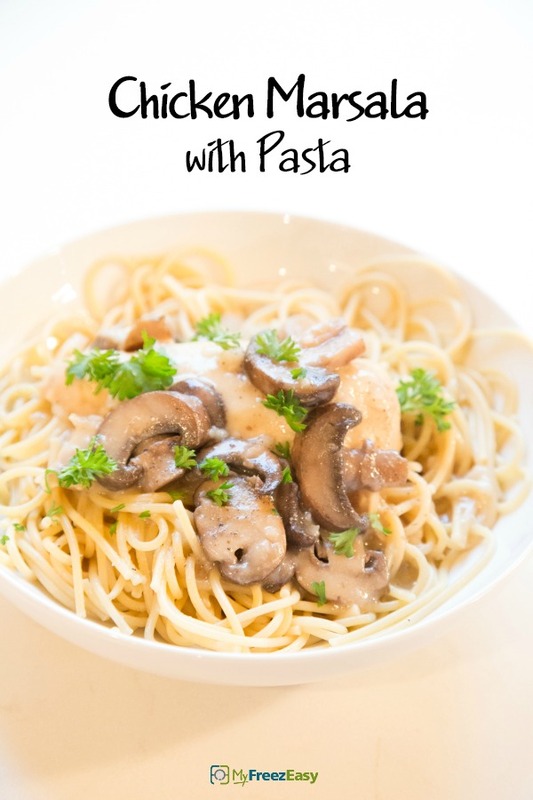 Pour it over cooked pasta for a delightful busy weeknight dinner! Enjoy! Cut up the chicken breasts into strips. In a large skillet, saute the chicken breasts until they are white on all sides and then mix in the minced onion and garlic powder and saute for 2 minutes. Stir in the sliced mushrooms, marsala cooking wine and cream of mushroom soup with the chicken. Gently stir ingredients together and let simmer over low heat for 5 to 7 minutes, or until chicken strips are cooked through. Season with salt and pepper to taste. Serve Skillet Chicken Marsala with pasta and side salad. Cut the 4 chicken breasts into 1/2-inch wide strips. Put baggie in the freezer and freeze up to 6 months in fridge freezer or 12 months in a deep freezer. Thaw in the fridge overnight, or a warm bowl of water for about 20 minutes, before transferring to skillet to cook the chicken in the sauce over medium low heat for 8 to 10 minutes, or until chicken is cooked through. Add milk or chicken stock, if needed, to thin out the sauce as it cooks through. Search on 5DollarDinners.com for homemade cream of mushroom soup if you need to make it dairy-free or gluten-free. Recipe is gluten-free when served with gluten-free pasta. Pacific Foods makes a gluten-free cream of mushroom soup. Thaw and cook the chicken in the sauce over medium low heat for 8 to 10 minutes, or until chicken is cooked through. Add milk or chicken stock, if needed, to thin out the sauce as it cooks through.